Written offer within 48 hours or less. You do not need to pay any commissions. Avoid parade of dozens of potential buyers through it. We have helped innumerable Canadians in need of money get quick cash. We buy any and almost every type of homes and properties. Canadian property owners who must sell due to an urgent need without involving in lengthy and cumbersome procedure. All offers and contracts MUST be APPROVED by your lawyer in writing. We buy homes in Canada in any condition and irrespective of the location and condition. Despite the price range and condition of the property, we help dispose of the property right away. 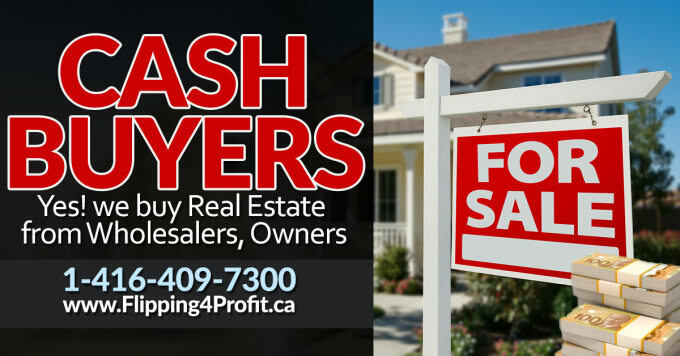 We Buy Houses in CASH, FAST closing.We are problem solver Canadian real estate angel investors with cahs and experience. 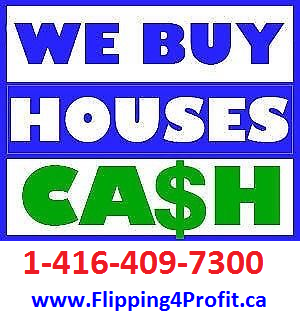 Our help is all CASH offer and fast closing is the best solution to avoid further hassle. Emergency CASH available if required.